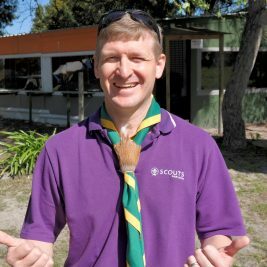 SCOUTS South Africa is calling for proposals from Members to undertake the development, hosting and running of a National Jamboree in South Africa. We have received one proposal, but in the interests of an open and transparent process, have opened the request to other members to ensure the best team and event for our members. We are seeking a team who would report to the Exco and directly to the Chief Commissioner, via their chairperson, and be responsible for the fundraising, planning, preparation, administration and execution of the event. Supportive of any projects or strategies underway in SSA at the time, where reasonably possible. The event should provide opportunities for interactions between the participants, practical learning experiences and be operated using the Scout Method and aligned with the Scout Promise and Law. An “Intention to present proposal” should be submitted to the Chief Commissioner via email at cc@scouts.org.za with a copy to info@scouts.org.za by close of business 31 October 2016. The “Intention to present a proposal” which is submitted should include name, email and phone contact details for the person who will be preparing the proposal. Full proposals, detailing team members, their experience with similar events, a concept for the event and timelines including timeline from now until the event, with key milestones, venue, outline activities and proposed scale and size of event, should be completed and submitted by the end of November 2016. The proposals received will be evaluated by the EXCO and the selected team will be advised to proceed by Mid-December. Should no new “intention to present be provided by the cut-off date of 31 October 2016, the Exco will continue on the basis of the proposal already received.